At Masch, Coffey & Associates LLP, we safely and securely guide our clients through their estate law and family law challenges. We take pride in our ingenuity and our ability to face unique problems head-on, employing creative solutions to achieve our clients' objectives. When our Rockland County estate law and family law attorneys lock onto an objective, we will not be deterred. Regardless of the tactics an opponent may employ, we will not be intimidated. We will move forward, readily going to trial when necessary. We are trusted litigators, at home in courtrooms throughout New York. Our law firm's partners — lawyers Gregg A. Coffey and Julia Masch — bring more than 40 years of combined experience to estate law matters such as probate and estate administration, estate and trust litigation, estate planning, and family law matters such as divorce, child support and child custody. Over the years, we have earned the respect of our colleagues and adversaries in New York courtrooms. Rockland County is our home. Julia Masch was born and raised here. Gregg A. Coffey has lived here for decades. We spend our days in the courtrooms in Rockland County, Westchester County and Orange County, helping members of our community address extremely personal legal matters. We practice with integrity, including responsive communication and a responsible fee structure based on fair and reasonable billing practices. We promise a safe place to discuss your legal needs. To arrange an initial consultation, call us at 845-639-8100 or contact us by email. Our office in New City is located just one quarter mile from the Rockland County Courthouse. We provide comprehensive legal counsel in all estate matters. 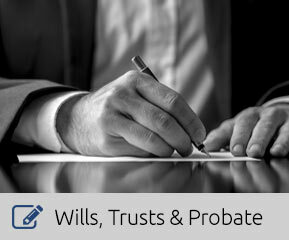 Whether you are interested in planning, need help with administration or are involved in a dispute, we can help. 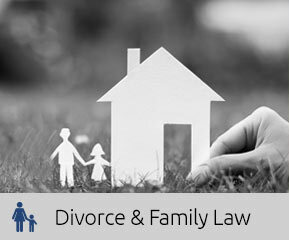 We are a full-service family law firm. We are committed to reaching a resolution in even the most contentious divorce and family law cases, through litigation or negotiation as appropriate. 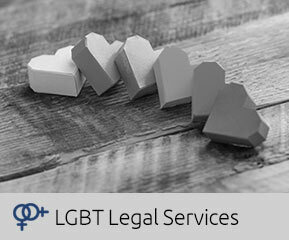 LGBT individuals and couples may face legal issues that require particular expertise and experience. Our attorneys help lesbian and gay clients with family law, estates and more. Masch, Coffey & Associates LLP provides legal services for clients in Rockland County, Orange County and Westchester County in the Hudson Valley Region, including communities such as New City, Haverstraw, Stony Point, Clarkstown, Spring Valley, Monsey, Ramapo, Suffern, Pearl River, Orangetown, Nyack, Nanuet and Sullivan, New York.